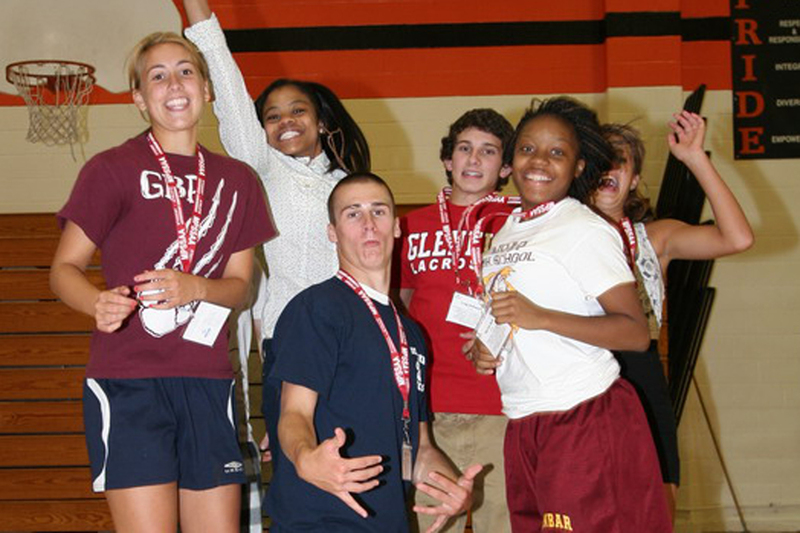 The MPSSAA's first statewide Student-Athlete Leadership Conference came to a rousing conclusion on Tuesday, August 10th at Oakland Mills HS in Howard County. Attendees made new friends from across the state and learned how to be a true leader on their teams, in their schools, and in their communities. Click on the links above for photos of the day. The day began with the pre-registered students checking in and picking up the materials needed for the day's activities which included a name badge, drawstring bag, pen, spiral-bound workbook, and a commemorative t-shirt. 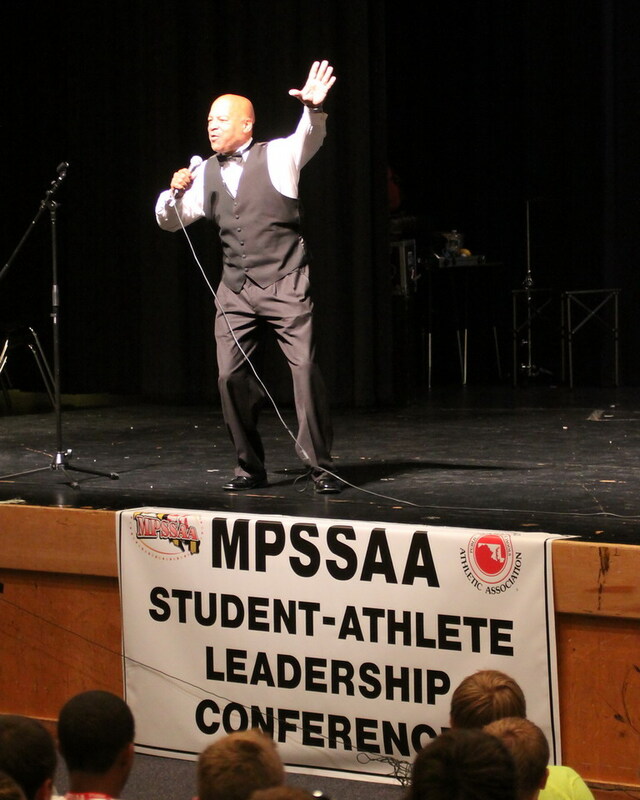 Then it was on to the auditorium to be energized by guest speaker Harvey Alston who sent the student-athletes into their first of four breakout sessions motivated and focused by his positive message. Breakout sessions were scheduled around the lunch provided on site and were titled "Captain's Course", "Good Decisions and Perspectives", "Virtues Project", "Powered By Me" and "Team Building" along with the Allstate Foundation session called "Keep The Drive". Another outstanding guest speaker, magician Stephen Bargatze, awed students and adults alike with his sleight of hand and compelling personal story. 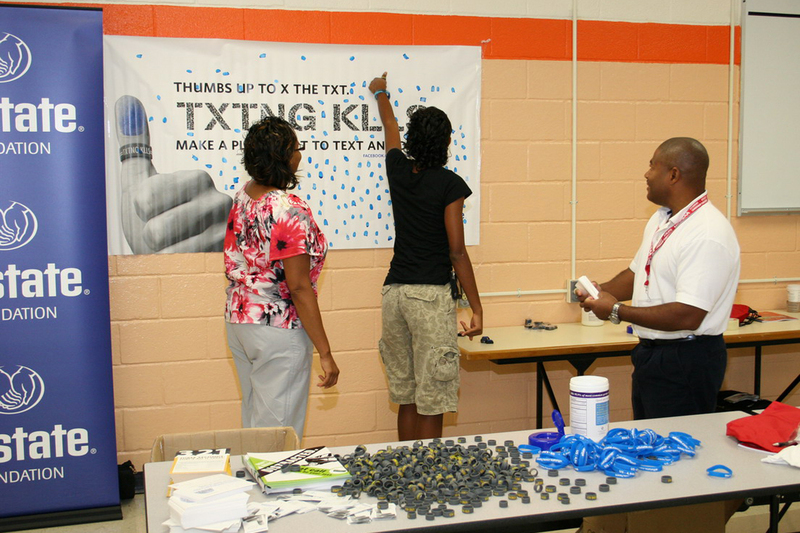 The Allstate Foundation also promoted safe driving by teens by distributibuting thumb bands with "TXTING KILLS" and asking attendees to take the pledge not to text while driving. The culminating activity for the day had students meet as a group with other attendees from schools in their county/city and District to begin to apply the leadership lessons of the day by creating action plans to implement initiatives at the local and district levels. Ideas were discussed as pizzas were devoured and sodas and water washed it all down. Before leaving for the day, it was back to the auditorium where Harvey Alston gave the parting message and put the appropriate exclamation point on the day. The MPSSAA would like to thank Oakland Mills HS and Athletic Director Troy Stevenson and his staff for their hospitality and assistance in hosting the conference. Thanks too to all of the Athletic Directors in Howard County for volunteering their time to assist throughout the day, the speakers and presenters who gave so freely of their time, and the many other volunteers without whom this event would not have been possible. Together, we have made a difference!